Photographer: Henrik Bülow. Model(s): Lindsey Wixson. Source: Fat Magazine. Stylist: Alexandra Carl. Makeup: Hung Vanngo. Hair: Pasquale Ferrante. 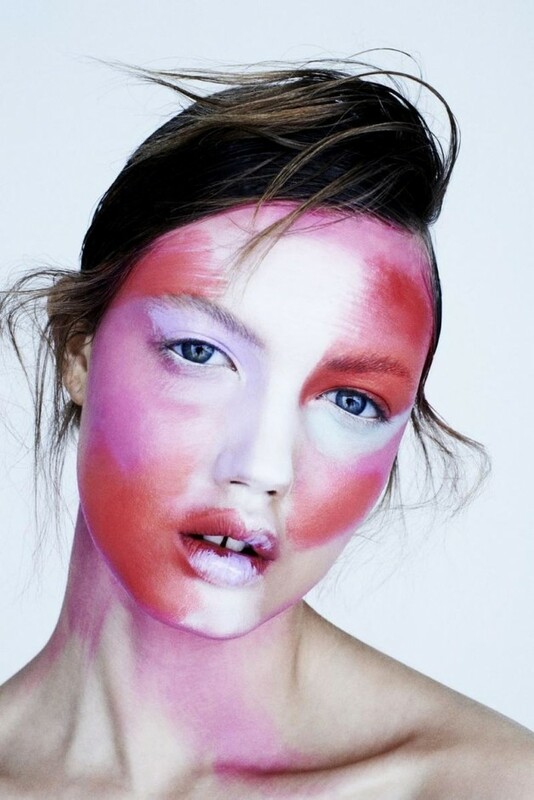 Lindsey Wixson gets aggressive in this avant-garde story by Henrik Bülow for Fat Magazine, S/S 2014. A divine right of passage, through the chambers of my mind I find the truth. From the exquisite to the exotic, these looks know how to shine, with a stunning selection of styles from Alexandra Carl. Wearing a hyper modern mix of designs, this vibrant color blocking and cool cut, fits her just fine. Makeup Artist, Hung Vanngo, invades the face space with shades that take it from bright to right. Beauty made to break borders, this neo-tectonic air captures our imagination with ease & application. Dews done right, Pasquale Ferrante gets decadent, with a swath of blonde hair that comes screaming down her forehead. A daring array of love and play, through the lens of light we break free.